Beautiful Lake Texoma, one of the top striped bass fishing lakes in the nation, is located on Oklahoma’s southern border where the mighty Red River divides the great state from its neighbor, Texas. The lake’s vast stretch of water (over 80,000 acres) spans the borderline giving it beaches in both states. Mr. Clean and L.C. 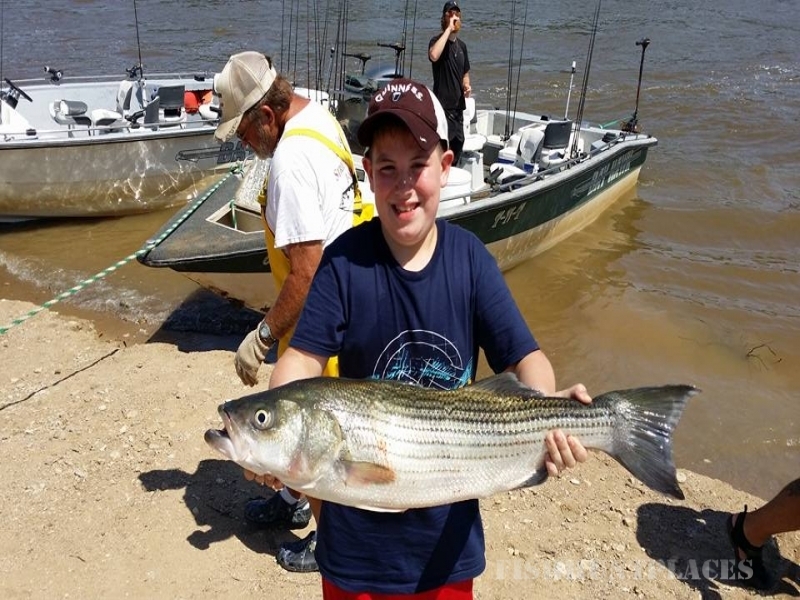 have made it their business to know the lake, from shore to shore, in order to always provide their customers quality fishing trips filled with fast-paced action on Lake Texoma’s fighting stripers. Top quality fishing guide service is provided by Mr. Clean and L.C. Everything from their 27-foot Bayhawk boats to fishing gear is kept in top notch condition for customer use.